10 – Where to find the location. Le Cellier Steakhouse is located within the Canada pavilion at Epcot’s World Showcase. It is the very first pavilion if you head to the right from Future World. You will see a sign with the restaurant name on it and then follow the trail back to the real entrance to the location. 9 – It is on the pricey side. This is definitely a more expensive restaurant. The cheapest entrée is $30, which most of them over $40. This doesn’t include any appetizers, desserts or side items. It can all add up quickly, so guests should come prepared to pick up a hefty tab. There are some discounts that are available like Annual Passholder, Tables in Wonderland, DVC Member, etc. so guests should also ask about that. 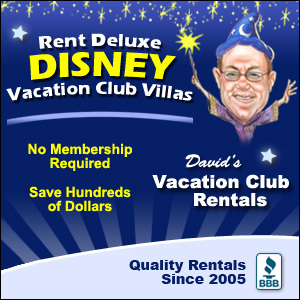 8 – It requires 2 Disney Dining entitlements. If you are on one of the Disney Dining Plans, then it will cost you 2 table service entitlements. You will have to plan ahead and make sure that you have enough entitlements to use on this meal, but it will definitely be a meal worthy of the entitlements! 7 – The restaurant offers lunch and dinner services. There is no breakfast service. There are just lunch and dinner services. The menu between the two is mostly the same, so you get a similar experience no matter which time you select. It may end up being a heavy meal for lunch if you aren’t used to eating like that for a midday meal. 6 – There is a huge wine selection. Since the restaurant is set within a wine cellar, it makes sense that there will be a variety of Canadian wines available to choose from. You will be able to find the perfect wine accompaniments for your meal while you are there. 5 – Make reservations as soon as possible. Guests are able to make dining reservations exactly 180 days in advance of their arrival. We definitely recommend that you make your Advance Dining Reservations as soon as you can. The restaurant is extremely popular and the time/days you want may book up quickly. 4 – It’s a great location for a date night or special occasions. The atmosphere for the restaurant is perfect for a date night or special celebration with the lower lighting and the feel of dining in a steakhouse cellar. This is meant to give you a unique dining experience like that of chateau-style hotels or resorts in Quebec. It definitely has a romantic feel, but it still a great place for families and groups. 3 – There are no fireworks views from this location. Many of the Epcot locations around the World Showcase offer views of Illuminations: Reflections of Earth, but unfortunately, Le Cellier Steakhouse isn’t one of them. This location is closed in without the views of the outside happenings. So, if you want to watch the fireworks, you will want to time your reservation accordingly. 2 – The service is amazing! The cast members are the Canada pavilion are extremely nice and friendly. At Le Cellier, the service is definitely amazing. Be sure to ask your server about where they are from and about their home city. They are typically very happy to tell you about it and about the food and experiences from where they are from. 1 – Indulge on the Porterhouse for Two! The Porterhouse for two is the most expensive thing on the menu. It comes in at $119 during lunch or dinner service. The enormous steak will come with loaded mashed potatoes, crispy onions, lobster macaroni and cheese, béarnaise sauce and a blue cheese fondue. It is delicious and complete, delicious meal for two.